Yet another addition to Tudor’s popular line of retro dive watches, the Black Bay Bronze is the first Tudor made of the fashionable metal. Larger than the ordinary Black Bay at 43 mm in diameter, the Black Bay Bronze is milled from a bronze and aluminium alloy that has a brushed finish on all surfaces. Susceptible to oxidisation that forms a protective layer on its surface, bronze will acquire a patina over time that aficionados appreciate. 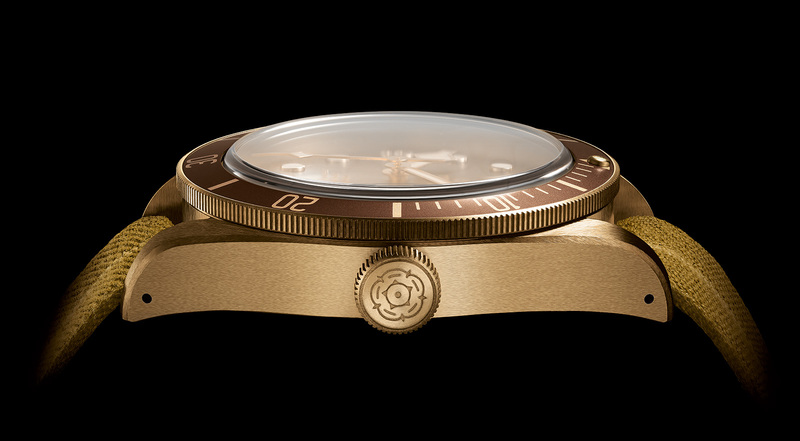 To go with the bronze case, the dial and bezel are chocolate brown with gold accents. 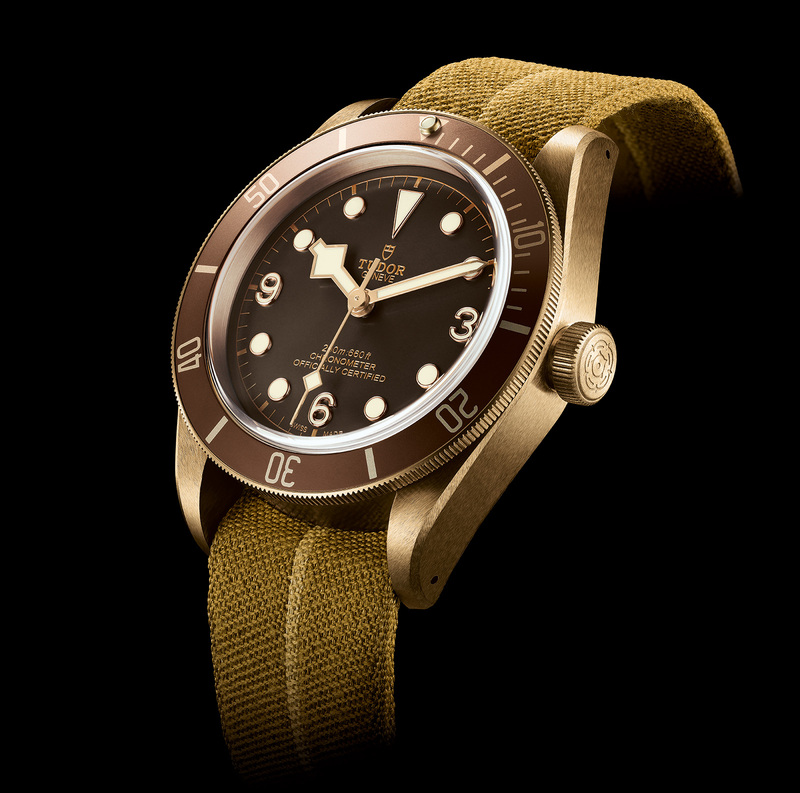 Instead of the usual baton markers at the quarters, the Black Bay Bronze features Arabic numerals, a design collectors have nicknamed the “Explorer” dial after the Rolex watch with the same look. The “snowflake” hands are another historically-inspired detail, as are the holes drilled into the sides of the lugs to make strap removable easier. Like other bronze watches, the case back is not bronze, since the metal tends to cause allergic reactions. Instead it is stainless steel coated to resemble bronze. Similar to the slew of Black Bay models launched at Baselworld 2016, the Black Bay Bronze is powered by the in-house MT5601, an automatic movement with a 70-hour power reserve. 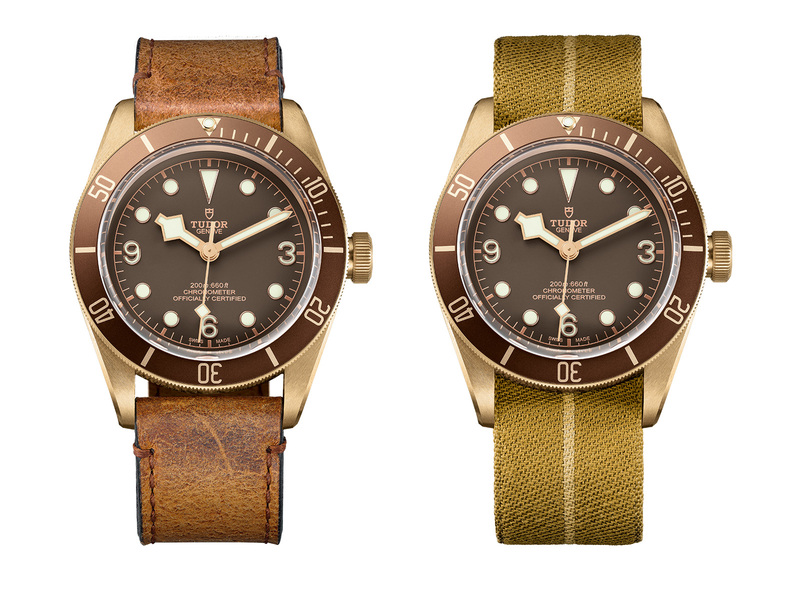 Available with either a distressed leather strap or canvas NATO-style strap (both with bronze buckles), the Black Bay Bronze will retail for SFr3800. Entirely titanium, rated to 500m and equipped with a patented, self-adjusting clasp, the Pelagos is Tudor's top of the line dive watch. And it just a major upgrade this year with a new, in-house movement.